Our range of products include duplex steel uns s32205 flanges, duplex steel 2205 flanges and duplex steel uns s31803 flanges. We are instrumental in offering our clients, a resilient range of Duplex Steel UNS S32205 Flanges that is designed in accordance with the standards prescribed by the industry. 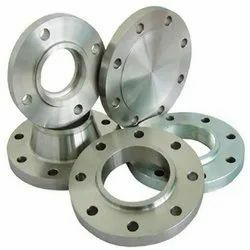 Used for connecting two pipes in processing industries, these flanges are offered to our clients in standard and customized specifications. Features: * Excellent quality * Light weight * Fully tested under various parameter Specifications :- Standards : ASTM, ASME, API, AISI, BS, ANSI, DIN, JIS, MSSP, NACE A240, A276, A479, A789, A790, A182 (Grade F51), A923 DIN Standard : ND-6,10, 16, 25, 40 Etc. Materials : ASTM A182 – F 51 UNS S32205 Class : 150 LBS, 300 LBS, 600 LBS, 900 LBS, 1500 LBS, 2500 LBS From : Slip on Flanges – SORF, Weld neck Flanges – WNRF, Socket weld Flanges – SWRF, Blind Flanges – BLRF Lapped joint Flanges, Screwed Flanges, Long weld neck Flanges, Reducing Flanges, Spectacle Flanges, Ring joint Flanges Size : 1/2″NB TO 24 “NB IN Usage : Water System, Electric Power, Oil Field, Pipe Projects, Natural Gas, Offshore, Shipbuilding etc. Since the incorporation of our organization we are providing high grade and excellent range of Duplex 2205 ASTM A815 Flanges to our clients. These are sturdy and have accurate dimensions. These products are noted for their excellent finishing and texture. Made in accordance with industry standards, these products are available in customized and non customized options to ensure that our clients are able to get this product in various types. We do rigorous checking of our complete array before delivering in the market for sale. We are notable for excellent finishing. 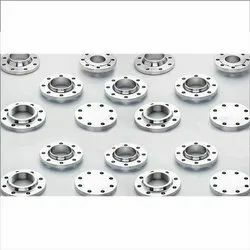 Petromet Flange Inc. is a well known brand in the industries of stainless steel manufacturing, and a leading exporter and supplier of Duplex Steel UNS S31803 Flanges in the country. The company has an illustrious clientele that increases to market in several countries, and is recognized as an innovator in the market when it comes to their products and finishing excellent quality. 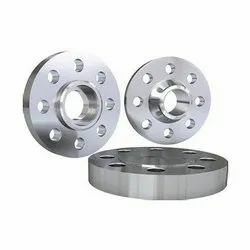 Petromet Flange Inc. all-round group of professionals with highly effective background moments and comprehensive experience in manufacturing and managing of Duplex Steel UNS S31803 Flanges.